Show your love of the big city and stay warm in chic style with this pom pom beanie hat. 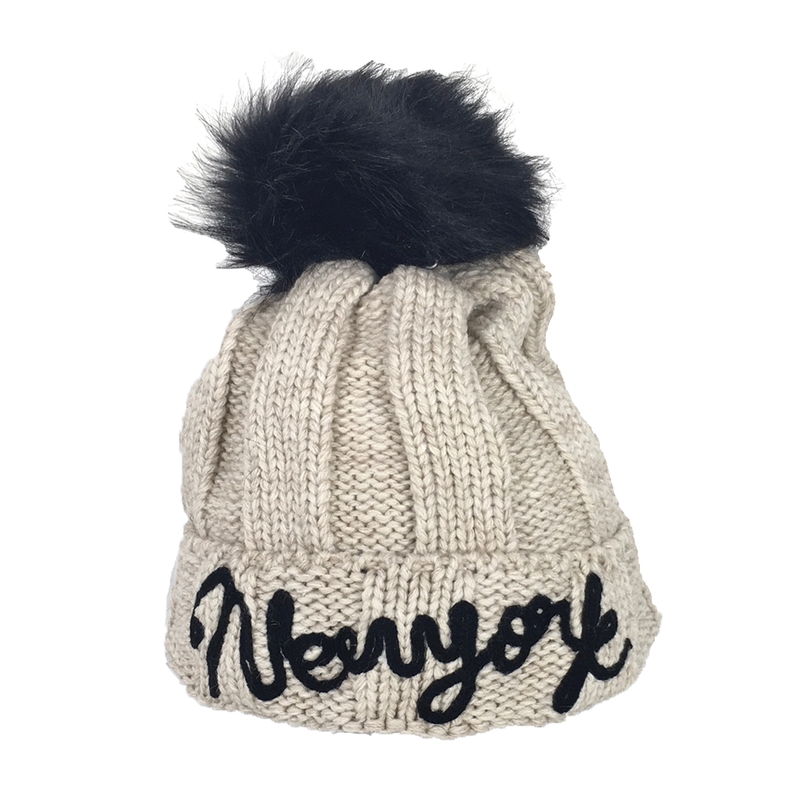 Slouchy knit beanie hat. Top faux fur pom pom.